Several Australian children’s and YA books will soon be getting greater international exposure after being included in the prestigious IBBY Honour List and White Ravens catalogue. Five books by Australian authors and illustrators have also been included in the 2017 White Ravens catalogue for international children’s and youth literature, which is produced annually by the International Youth Library in Germany. The library’s language specialists select ‘books of international interest that deserve a wider reception’ based on ‘their universal theme and/or their exceptional and often innovative artistic and literary style and design’. The Australian titles are: Iris and the Tiger (Leanne Hall, Text); Magrit (Lee Battersby, Walker Books); One Would Think the Deep (Claire Zorn, University of Queensland Press); Somewhere Else (Gus Gordon, Penguin); and The Stars at Oktober Bend (Glenda Millard, Allen & Unwin). 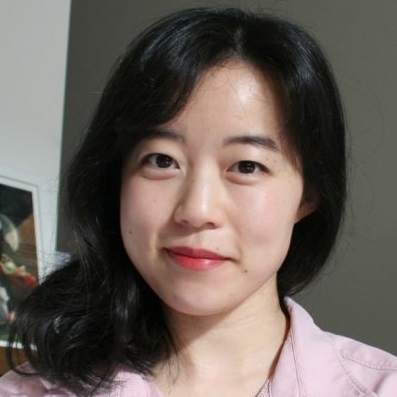 Allen & Unwin has acquired world rights to Australian illustrator and designer Sher Rill Ng’s debut picture book Our Little Inventor via Danielle Binks at Jacinta di Mase Management, to be published in April 2019. The picture book stars a young scientist on a quest to save the Big City from the smoke and soot that pollutes the air. Binks described it as ‘Shaun Tan-meets-Disney steampunk, with a feminist and environmental edge’. Small press Berbay Publishing will release its first junior-fiction series ‘Norton’ in 2018 by Australian writer and illustrator John Dickson. The series focuses on seven-year-old Norton, who is ‘finding his way in the world through a series of mishaps, mistakes and misunderstandings’, with the help of his caring family (and a slightly tricky older sister). Berbay managing director Alexandra Yatomi-Clarke said she decided to expand the picture-book publisher’s list after identifying ‘a real gap in the market for well written junior fiction’. Pan Macmillan Australia has signed a two-book deal with debut YA author and BuzzFeed Australia editor Jenna Guillaume via Danielle Binks at Jacinta di Mase Management. Guillaume described her first book Maisie as ‘a coming-of-age story that explores topics close to my heart—body positivity, female friendship, and, of course, really cute boys’. Binks said readers will love Guillaume’s ‘fun, flirty and fierce contemporary romance’. Maisie is scheduled for publication in 2019. Hardie Grant Egmont (HGE) has sold UK and Commonwealth rights (excluding Australia and Canada) to Sydney bookseller Jeremy Lachlan’s middle-grade adventure novel Jane Doe and the Cradle of All Worlds in a pre-empt to Egmont UK. HGE managing director Annabel Barker and publisher Marisa Pintado negotiated the deal with Egmont UK fiction publishing director Ali Dougal. The first book in the series will be published in Australia in August 2018. Hardie Grant Egmont has sold Dutch, Danish and Korean rights to Patrick Guest and Jonathan Bentley’s picture book The Second Sky, about a penguin’s quest to find his place in the world. Scholastic has sold German rights to two books in Meredith Costain and Danielle McDonald’s junior-fiction series ‘Ella Diaries’. The series explores the inner thoughts of young Ella in a diary full of hilarious doodles. HarperCollins has sold Korean rights to The Amazing True Story of How Babies are Made by Fiona Katauskas—‘a fresh take on the incredible tale of where we all come from’ for children aged five and up—to Goraebook Library. 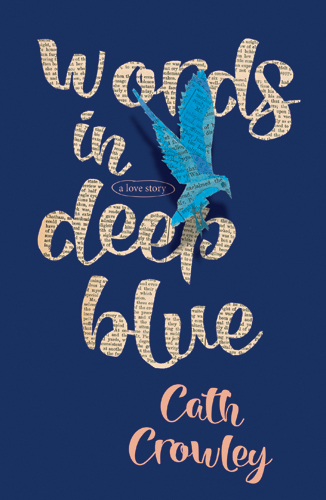 Cath Crowley’s YA novel Words in Deep Blue (Pan Macmillan)—a love story between estranged best friends set in a Melbourne secondhand bookshop—has picked up multiple awards in the past few weeks. The novel won the teen reader-selected Gold Inky Award and the Queensland Literary Award for YA. Lisa Shanahan’s The Grand, Genius Summer of Henry Hoobler (Allen & Unwin) also picked up the Queensland Literary Award for Children’s Books. The winners of the Australian Family Therapists’ Awards for Children’s Literature have been announced. Saving Jazz by Kate McCaffrey (Fremantle Press) won the Older Readers Award and Out (Angela May George, illus by Owen Swan, Scholastic) won the Young Readers/Picture Book Award. Nine Australian authors and illustrators and the Indigenous Literacy Foundation have been nominated for the 2018 Astrid Lindgren Memorial Award. Established in Australia in 2002, New Frontier Publishing specialises in children’s books for the trade and the educational market. In 2017 the publisher opened a UK office and in 2018 it will launch a new baby and early years imprint. 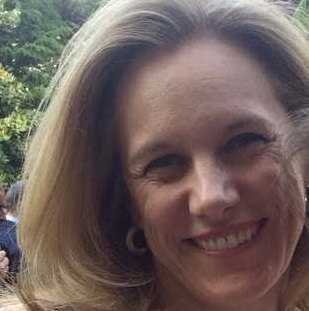 Co-founder and publisher Sophia Whitfield spoke to Think Australian. What makes your press unique? Our focus has been on publishing quality picture books. We hope that our books continue to inspire, educate and entertain children. How many books do you publish each year—and what kinds of books? Next year we will be publishing 60 books in both Australia/New Zealand and the UK. Our current list features picture books, junior fiction and nonfiction. In July 2018 we will launch Star Bright, our new baby, pre-school and early years imprint. This will include board books from our core picture book list as well as new learning books, activity and novelty books and licensed content for the early years. After evaluating our list we made a strategic decision to create books for zero- to six-year-olds. We will launch the list in 2018 with 20 new books. Have you sold international rights to your books? Our books continue to be successful internationally. China and the US have emerged as good markets for our books in the last few years. Which titles have been most successful overseas? Picture books by Peter Carnavas have sold well internationally, both across Europe and in the US. Which title or author on your list do you believe deserves bigger recognition overseas? All our authors deserve more recognition overseas. We have particularly strong new junior fiction, which I hope will be more recognised internationally in 2018. Series include ‘Keeper of the Crystals’ by Jess Black, ‘Sage Cookson’ by Sally Murphy and ‘Jake in Space’ by Candice Lemon-Scott. Have you acquired the rights to publish any international titles in Australia? What are some of the standouts? We published if, a picture book by David J Smith, illustrated by Steve Adams. It is a nonfiction picture book, an intriguing guide to better understanding really big ideas and numbers children come across on a regular basis. David found clever devices to scale down everything from timelines (the history of Earth compressed into one year), to quantities (all the wealth in the world divided into one hundred coins), to size differences (the planets shown as different types of balls). The book was interesting and fun and children loved it. What will you publish next (that may appeal to international publishers)? We are excited about our new Star Bright imprint and hope this will appeal to international publishers. With the launch of the new imprint, we now publish across all areas for children. The Australian picture book bestsellers chart for September is dominated by Aaron Blabey and Mem Fox, with the exception of Nick Bland’s The Very Sleepy Bear—a follow-up to Bland’s 2008 bestseller The Very Cranky Bear—at number two. 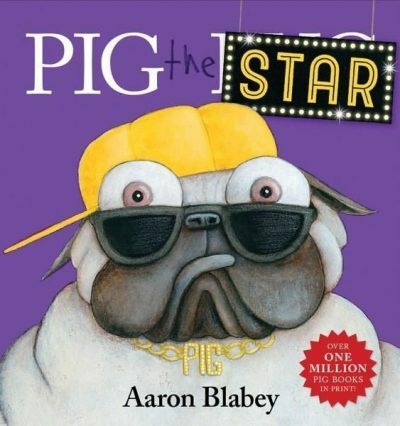 Leading the chart is Blabey’s Pig the Star, the fifth picture book to feature the canine antihero Pig the Pug. Blabey released his first picture book, the multi-award-winning Pearl Barley and Charlie Parsley (Penguin), in 2007 and has also penned a bestselling junior-fiction series ‘The Bad Guys’. I’m Australian Too (Mem Fox, Scholastic).